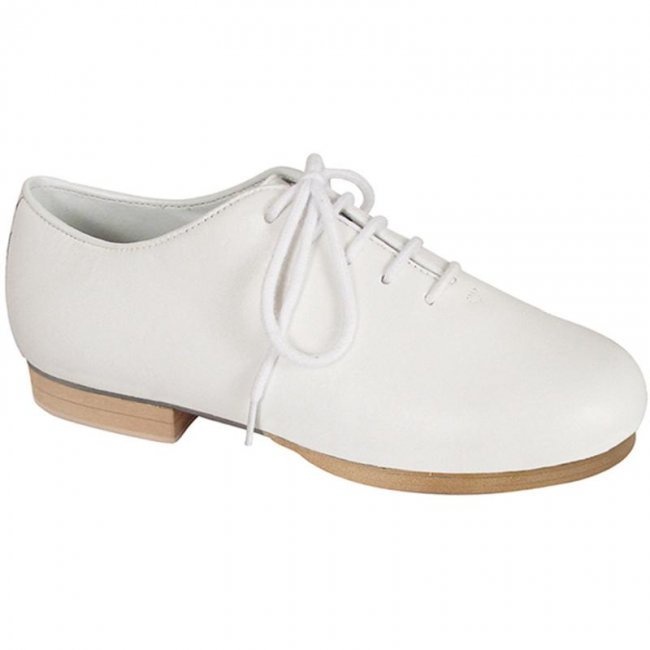 Our youth white clogging oxford features a one-piece outsole and lace-up leather upper for an adjustable, comfortable fit. It will also fit your favorite taps! BUCK TAPS ARE NOT INCLUDED.